We creeped out the Nun! Big thanks to Bonnie Aarons for the first place nod (out of 500) in the 15 Second Horror Film Challenge! Photos from Planet 9 Film festival! We were awarded 2nd place for the Festival! Get more info from our press write up over at Filmlocal.com. Check out our successful Kickstarter Campaign. From an early age, I fell in love with films that creeped me out. Whether it were horror films that scared the hell out of me, or TV shows like the Twilight Zone which altered my perspective on reality, watching these films and TV shows had a deep impact on me then, and still do to this day. 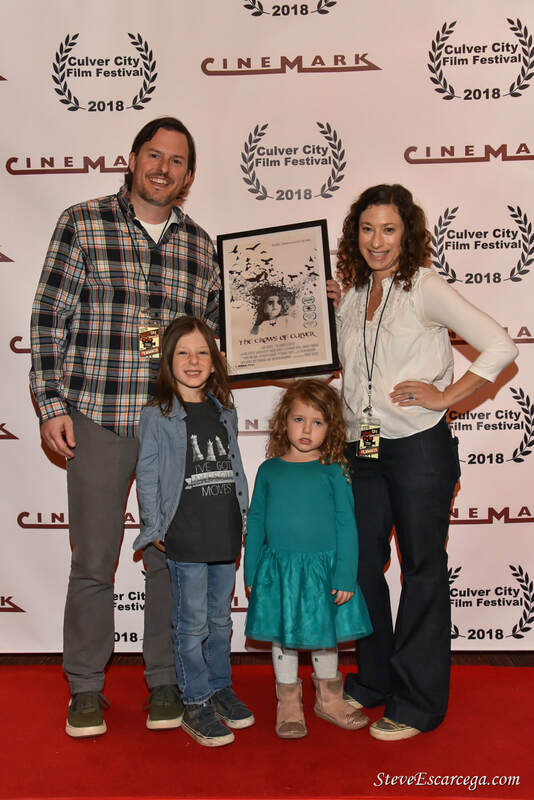 That type of cinematic experience is what I wanted to create with The Crows of Culver - haunted environments, super natural elements, and an ordinary family dealing with extraordinary things...scary things. Influences from such films as The Shining, Poltergeist, Blair Witch, Troma's The Children and, of course, Hitchcocks's The Birds can be seen throughout The Crows of Culver. I drew upon those influences but I wanted to focus on a core fear I personally have right now as a father - that is the safety and wellbeing of my children. As parents, our greatest fear is something terrible happening to our kids. It's that primordial fear I wanted to tap into and explore with the film. The goal in creating the fictional Turner Family was to create an authentic sense of family. I wanted to capture ordinary everyday events, the fun, the banal, both memorable and forgettable. If I could have the audience relate to the family, care about them, worry about them, then I could layer on the horror and super natural elements to have it seem very real - and most importantly, very scary. This is one reason why I cast myself and my family to star in the film. The family pictures on the wall are our pictures. The home movie footage is authentic. Arguments between the parents are actual arguments between my wife and myself. Conversations between father and daughter during a bedtime routine are genuine. It is this sense of reality that grounds the film, and sets it up for the tragedy that unfolds. 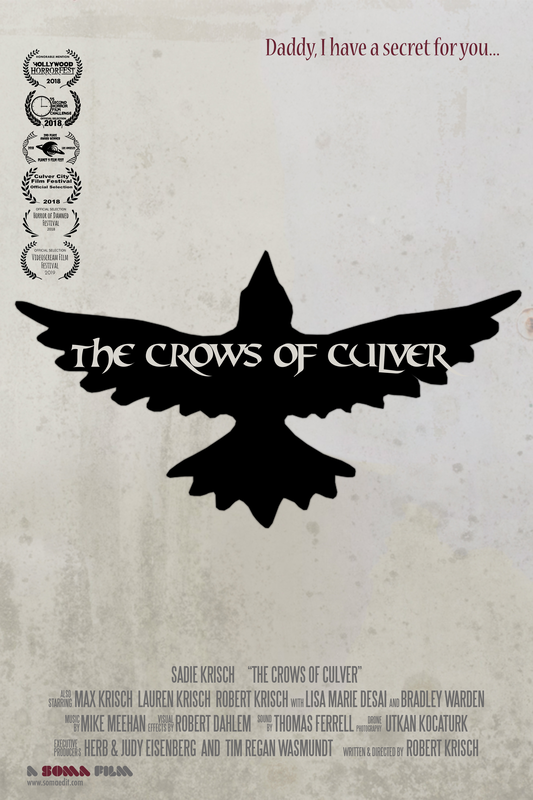 Production on The Crows of Culver started in the summer of 2017 and lasted for 9 months. I wanted to approach production of the film from 2 different angles. The first was more conventional - I wrote a 15 page script and we shot single and multi-camera setups to craft scenes that were taken directly from the page. The second approach was more experimental - almost documentary filmmaking. I shot for a total of 52 days following the lives of the Krisch family. Whether it was the local town carnival or trick or treating on Halloween or a family drive in the car, hours and hours of footage were shot and edited into rough string outs. Scenes were then rewritten around the most compelling footage. Then pickups were shot, completing the scenes and in most cases inserting a dark sinister undercurrent that develops throughout the film. 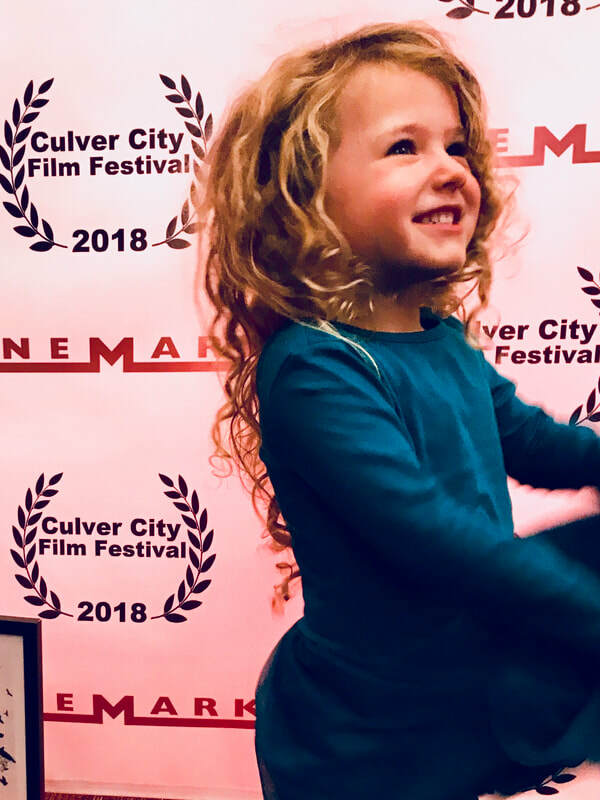 Taking this long approach to crafting the film allowed us to capture some amazing moments from its 2 young actors, especially the film's star - Sadie Krisch. While the production turned into a very personal journey with my immediate family, post production took on a very professional collaborative feel. The original score by composer Mike Meehan creates the hauntingly beautiful backdrop where our story unfolds. 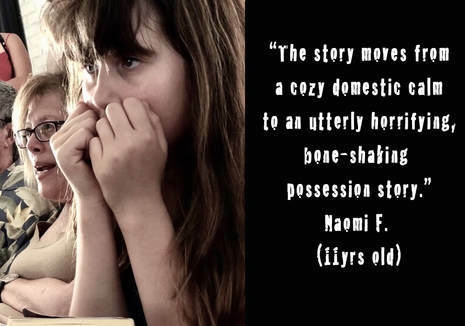 The visual effects by Robert Dahlem seamlessly integrates the layer of horror onto this normal family's life. The drone photography shot by Utkan Kocaturk constantly reminds the audience there are evil things lurking high above our protagonists. And the sound mixing of Thomas Ferrell cleaned up all the insanity recorded during the shoot, allowing the story to clearly be told. It was an amazingly creative experience working with all these talented filmmakers. Making this film has been a creative journey for myself, my family, and all the other filmmakers who painstakingly put this together over the course of a year. From everyone involved with the production, we hope it creeps you out.